It’s been one of those weeks around here. Not bad, really, but just one of those weeks where everything seems to take more work, more effort. It’s been cold, and we’ve all been housebound, excepting Daddy, who managed to escape for 3 days at a fancy hotel downstate (I’ve never had work-related travel like that!). The big boy has been fighting a yucky head cold and missed two days of school. The small boy’s been missing Dad and tired of being cooped up and generally more crabby than not. When Saturday morning arrived, and we all woke up in the same house, with sunshine and warmer temps and nowhere immediate we needed to go, a special breakfast was in order. 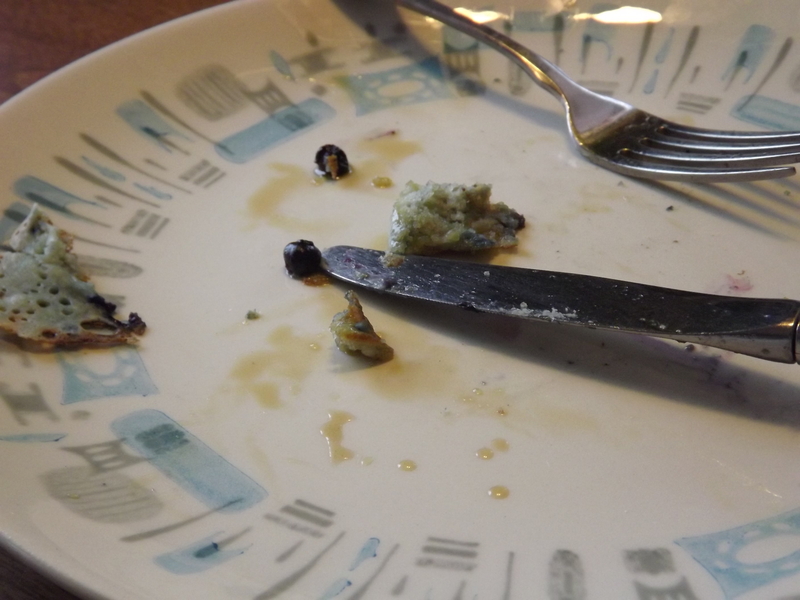 It was a blueberry pancake feast, and the three boys chowed down as fast as I could flip ’em off the griddle. We might have even saved one for the Prince of Darkness later. 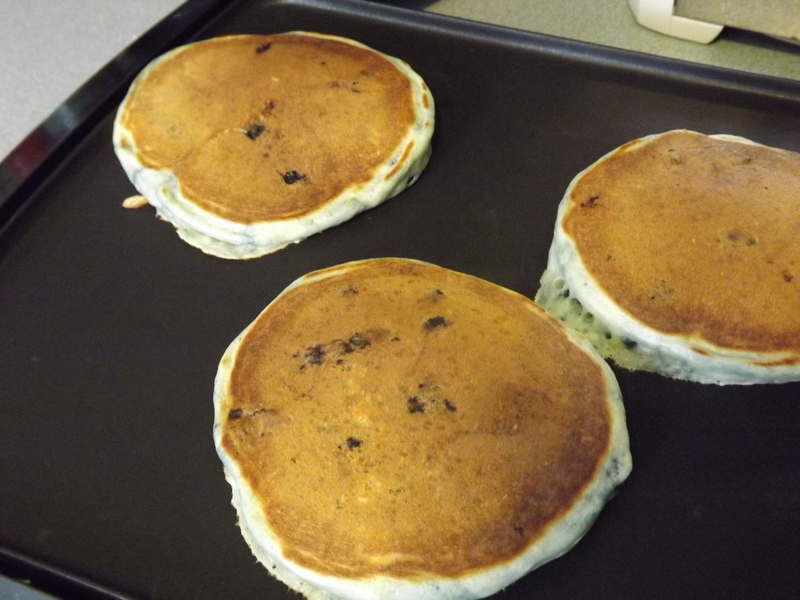 Heat griddle to 400°. In large bowl, beat eggs with yogurt/milk mixture and oil. Add dry ingredients, stir just until large lumps disappear. Gently stir in blueberries. 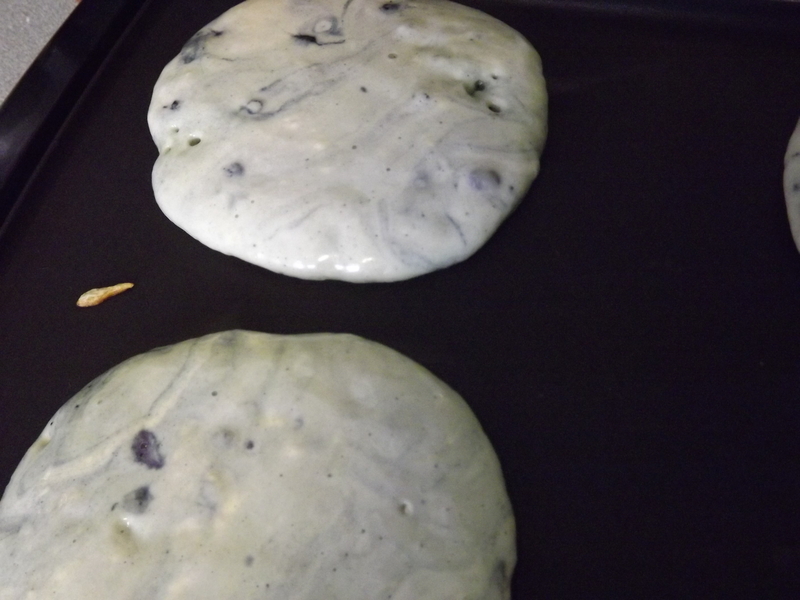 Pour about ¼ cup of batter on griddle per pancake. 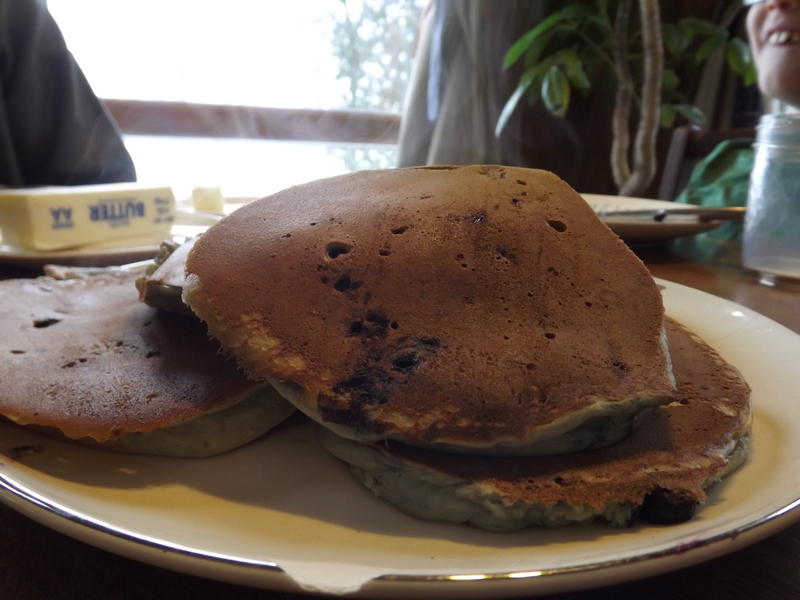 When pancakes form bubbles on surface, gently flip and cook other side. Serve hot, with plenty of butter, fresh Maine maple syrup, or any other desired toppings.